Feeling moody and irritable post-delivery? You do not have to feel guilty for not being able to enjoy motherhood. You see, your body has changed, there is a big responsibility before you, and your life will never be the same again. This can be exciting for many moms but for some, it can be the cause for baby blues, also called Post-Partum Depression (PPD). Research shows that almost 13% of new moms experience postpartum depression. Therefore, if you are one of them, the good news is that this condition can be managed and overcome with consistent care. Every mom is hormonal after the delivery. This can lead to mood swings and some irritability. 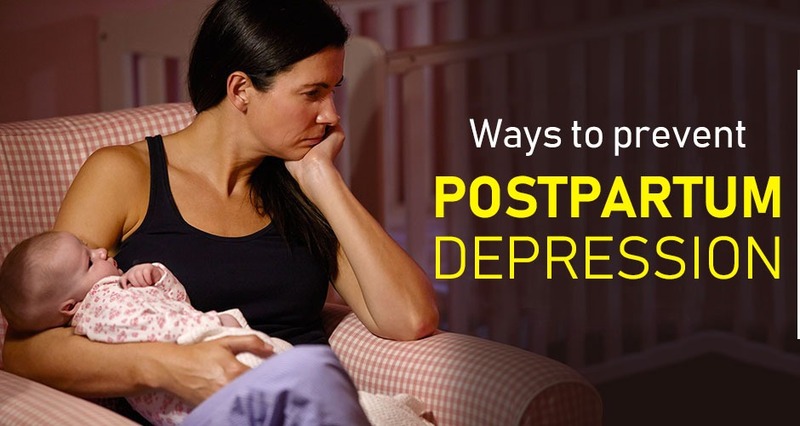 However, in some cases, it is extreme and can lead to a condition called postpartum depression or PPD. For a long time, the drop in hormones has been blamed for this condition. However, several other factors contribute to the condition and increase the risk of developing it post childbirth. Postpartum depression is a mental health disorder that is a form of clinical depression, occurring after you have had a baby. You can develop it at any time in the first year of your baby being born. Usually, women are affected by it the most in the first three weeks of delivery. This condition is not restricted to first time moms. Inability to carry on with your basic routine. Crying for long hours and more frequently and most often without any reason. Being unable to bond with your baby. Lack of closeness with your baby. Loss of interest in taking care of yourself, eating and any daily activity. Wanting to stay in bed for most part of the day. Inability to focus and absent mindedness. Who is at a risk of this condition? While hormonal changes are believed to be the most important contributing factor, some women are at a higher risk of PPD than others. Those with a history of depression or other mental health disorder. Women who do not have enough support from the spouse or the family. Women who conceive unexpectedly or do not really want to have a child. Meet a counselor: There are specialists who can help you figure out what you are feeling and why you are feeling a certain way. Start by talking to your pediatrician and obstetrician. They can guide you with counseling and help you find the right expert. These counseling sessions include several hours of talking and tactical questions that will help you assert your fears or issues. This is one of the most effective ways to deal with this condition. Medication: In extreme cases, antidepressants are prescribed to help women overcome PPD. These medicines are considered safe when it comes to breastfeeding. However, the real effect of these medicines is still under scrutiny. Never buy antidepressants off the shelf even if recommended by friends or family who have overcome this condition. Eat healthy: Research shows that a diet that lacks certain important minerals and vitamins can increase the symptoms of PPD. The most important nutrients with respect to this condition are omega-3 fatty acids, vitamin B12, Calcium, Vitamin B2, Iron, Vitamin D, and Vitamin B6. Taking dietary supplements and foods rich in these nutrients can yield desirable results. Get some exercise: Even a small stroll in the park or around the house can help you feel calmer. Exercise is known to release happy hormones or endorphins that reduce the symptoms of depression. You may not feel up to this. However, having a friend, your spouse, or a member of the family join you can motivate you to do so. Find calming techniques: Using essential oils, meditation, relaxing music or even reading a book can be a source of calmness. If you feel overwhelmed, do not hesitate to ask for help. Wanting some quiet time or me-time does not make you a bad mother. The calmer you are, the better you can take care of your baby. Join a new mom’s group: Several groups encourage new mothers to discuss their experiences after childbirth and even share tips with each other. You may be able to find people who are experiencing PPD and learn new coping techniques that will work for you. These groups reassure you that you are not alone. Get some sleep: Sleeping whenever the baby is asleep can really help you relax and release your stress. Lack of sleep will cause the symptoms of this condition to shoot up. It is very important that you do not pressure yourself to be the perfect parent. Take one day at a time and understand this wonderful new phase in your life in order to enjoy it.